Naughty Or Nice? | Live. Learn. Love. Eat. In a large bowl, cream together the margarine and the icing sugar. Add the vanilla. Add the flour 1/2 cup at a time and mix until combined. Separate the dough into two equal parts and add the red food coloring to half of the dough. Take about a tablespoon-sized ball of the red dough and roll it between your hands into a long rope. Repeat this method with a tablespoon-sized ball of the white dough. Twist each rope around each other, flatten slightly and form into the shape of a candy cane. Repeat until all the dough is used up. 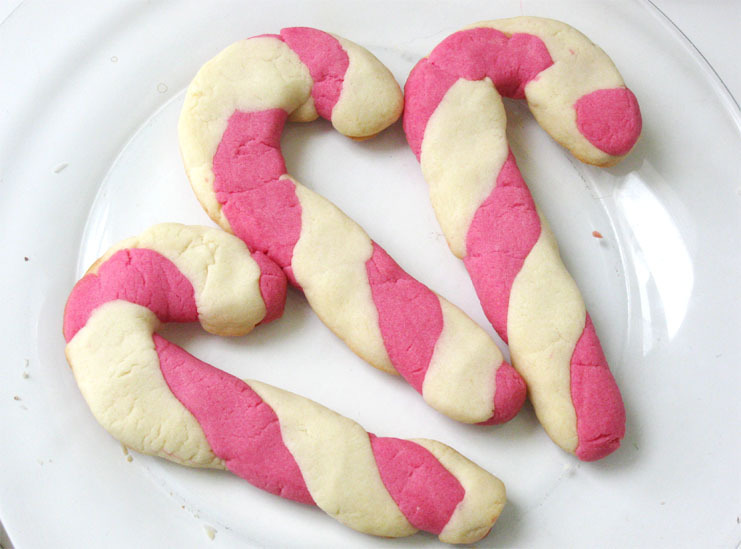 Place the candy cane cookies on a parchment-lined baking sheet and bake for 5-7 minutes. You want to watch that you don’t over bake these. Can you guess which cookies the girls preferred? Look at that look she was giving me! You’d think that she was a completely cookie-deprived child. Of course you know that she’s not. Place the almonds and oats together in a food processor and process until fine. Transfer the almond/oat mixture in a large mixing bowl along with the flour and the sea salt. In a separate smaller bowl, whisk together the sunflower oil, maple syrup and vanilla extract. Add the wet ingredients to the dry ingredients and mix until everything is well combined. Roll the dough into teaspoon-sized balls and then roll in the unsweetened shredded coconut. Place the coconut coated balls onto the baking sheet about 1-inch apart. Press your thumb into the center of each ball and spoon a bit of jam into each thumbprint. Bake for 5-7 minutes, until golden brown. 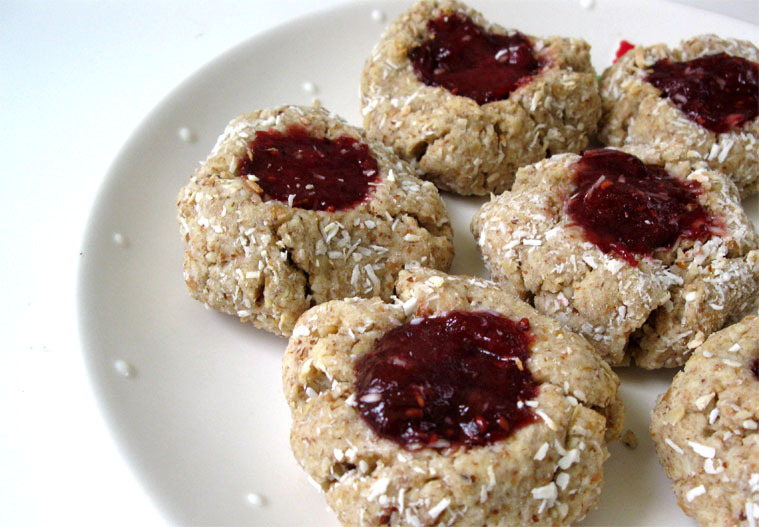 I absolutely love these thumbprint cookies! Healthy, wholesome baking always wins my vote. 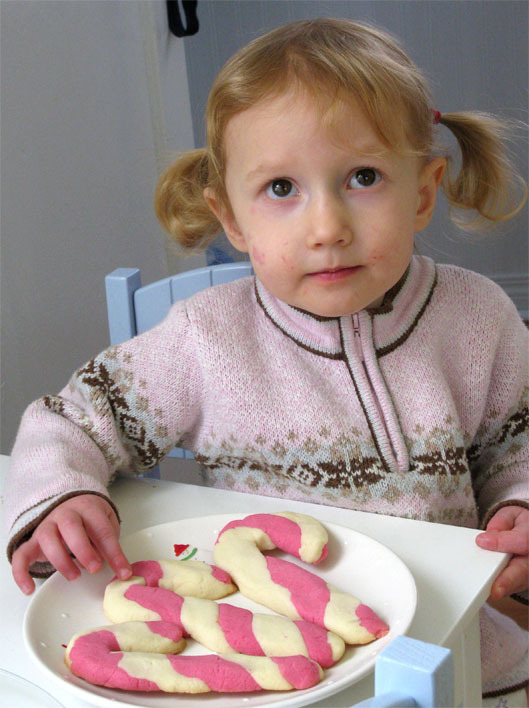 The girls loved the thumbprint too, but the look of the candy cane cookies completely enticed them. The thumbprints didn’t have much of a chance. These will not last until Christmas in my freezer. Kesa was going crazy watching me take pics of the cookies! Many of my photos had little reaching hands in them. And yes, this is my photography station! My girls little white table. My secret has been revealed. I wonder which cookie Santa will like best? What type of Holiday cookies do you prefer? Naughty or Nice? 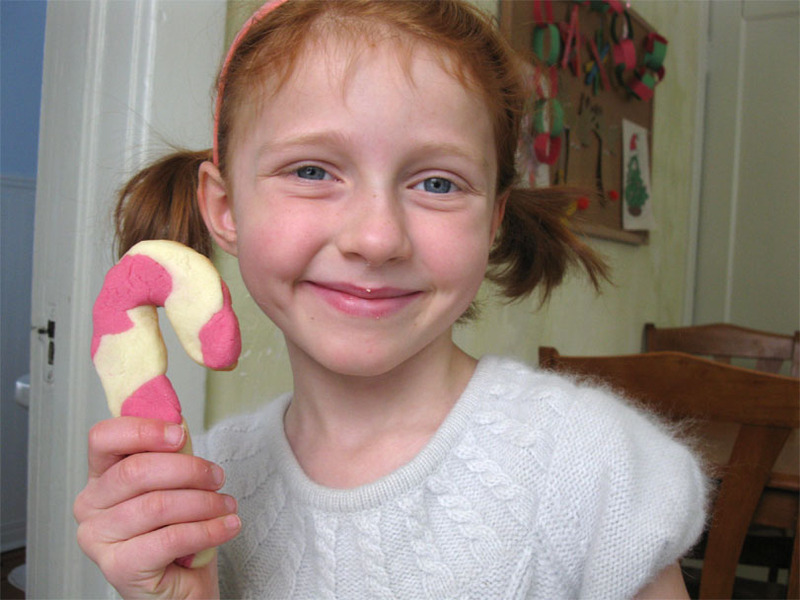 What is your favorite holiday treat? kesa looks so cute. you could sure tell she loved the looks of the candy cane cookies. 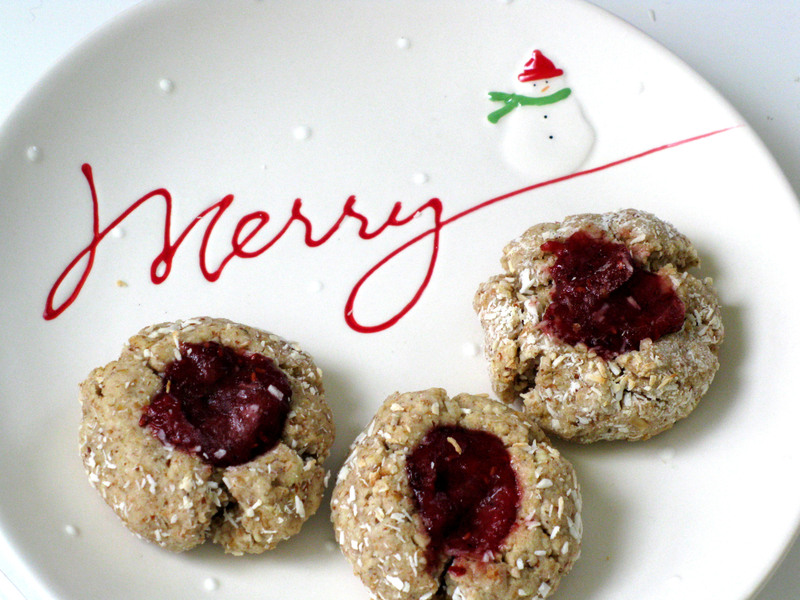 Pingback: 21 Healthy Vegan Christmas Baking Recipes | Live. Learn. Love. Eat. Pingback: Our Favorite Christmas Treats | Live. Learn. Love. Eat.